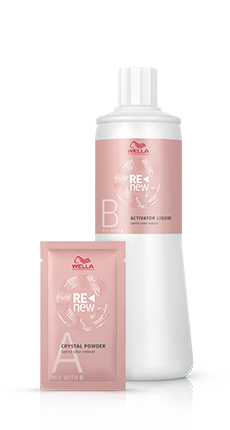 A ZERO DAMAGE COLOUR REDUCER TO ADJUST, CHANGE AND CORRECT UNDESIRED PERMANENT HAIR COLOUR RESULTS. It's a gentle alternative to persulfate products to reduce undesired oxidative colour while respecting the natural hair melanin without lightening the natural hair colour. - Reduces undesired colour results. - Gently cleanses excessive oxidative colour in depth and tone. - Respects the natural hair structure. - Does not lighten the natural colour. - Optimises and prepares the hair for new colour. - Easy and reliable application. - Peroxide free, Persulfate free, Parfum free.